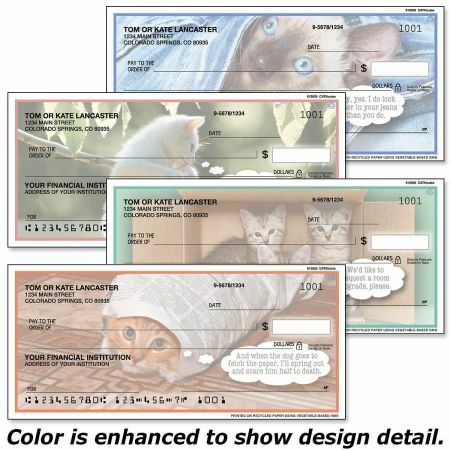 People who like cats will fall in love with these checks! 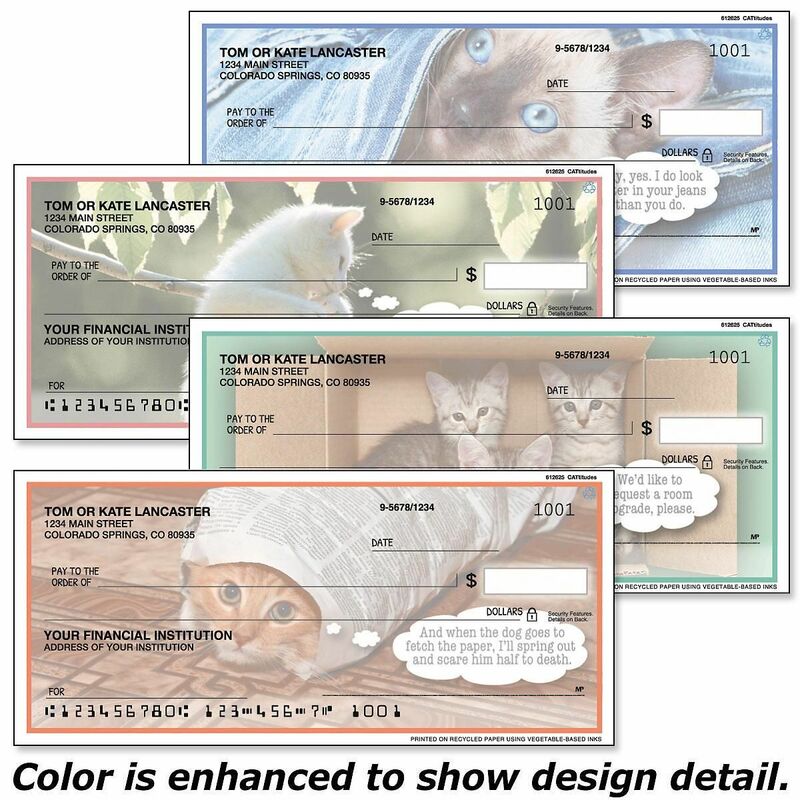 Our 4 meow designs set of personalized checks is top-tear and available in 125 singles or 100 duplicates that produce a copy of the check for easy record keeping and are sure to put you in a sunny frame of mind. Personalized or non-personalized matching canvas checkbook covers and sets of 144 coordinating 4-design address labels are also available.